New research suggests that a significant percentage of dishes advertised on restaurant menus as being “gluten-free” still contain gluten. A study presented Monday at the American College of Gastroenterology Annual Scientific Meeting found that about one-third (32 percent) of restaurant menu items listed as free of gluten actually were not free of the substance. For the study, researchers recruited volunteers nationwide to test 5,624 foods using portable gluten detection devices. Eighty-four percent of the foods tested were specifically labeled as “gluten-free,” but 32 percent of that figure contained gluten at levels of at least 20 parts per million (ppm). Some “gluten-free” dishes were more likely than others to be contaminated with gluten -- namely, pizza and pasta. About half of pizza and pasta offerings that were labeled “gluten-free” still contained gluten, according to lead author Dr. Benjamin A. Lerner of the Celiac Disease Center at Columbia University in New York City. "Given the possibility of cross-contamination, eating out can be a source of risk and anxiety for many patients,” Lerner continued. Additionally, gluten contamination was found more often in fast food restaurants such as McDonald's (33 percent) than in casual dining restaurants such as TGI Fridays (about 29 percent) or fast casual restaurants such as Chipotle (22 percent). More than 30 percent of the gluten detection tests produced positive results for beef, burgers, french fries, and desserts. Lerner noted that the study’s findings might not be representative of all restaurant foods labeled gluten-free, as participants may have selected some dishes based on their doubts about gluten contamination. Still, Lerner says the findings are “a big deal” considering approximately 1 percent of the U.S. population has celiac disease. “For those patients, exposure to gluten in their diet can cause various symptoms — nausea, vomiting, diarrhea, abdominal pain. But also it can cause damage to their intestines,” he told Today. 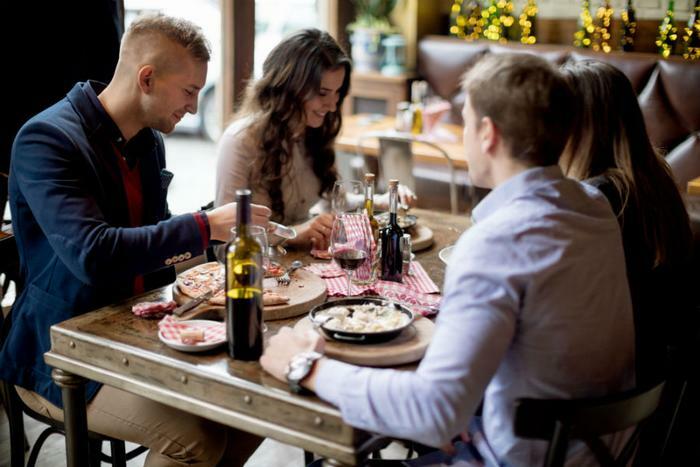 "In future research, we hope to investigate the potential mechanisms of gluten contamination in restaurant foods and identify interventions to reduce its occurrence,” Lerner said.